Black Acoustical Board and Acoustical Smooth Board have no Red List chemicals. The Red List is a list of chemicals that are not allowed in Living Building Challenge buildings. Being Red List free is our design benchmark at Knauf. 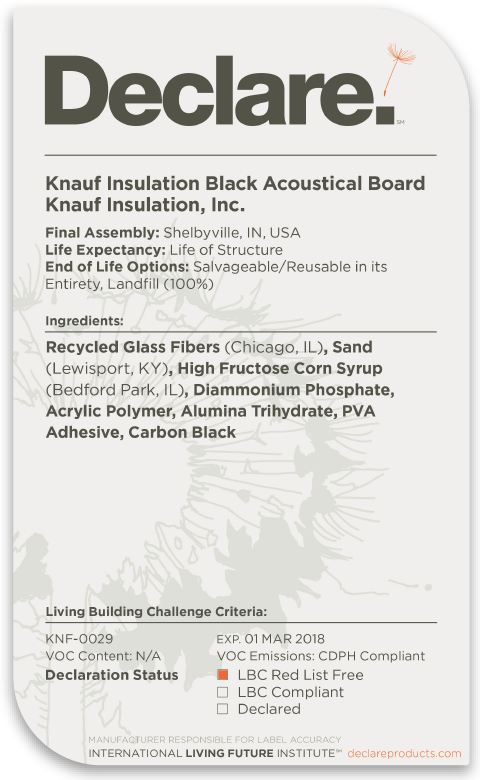 The ingredients of Black Acoustical Board and Acoustical Smooth Board avoid the 800+ chemicals of the Living Building Challenge Red List. This is primarily because of its bio-based binder adhesive chemistry known as ECOSE® Technology. ECOSE is based on dextrose or high fructose corn syrup instead of phenol and formaldehyde. Dextrose and fructose can be used interchangeably. The ECOSE binder allows the product to be validated by the UL Environment as formaldehyde-free. Formaldehyde is a Red List chemical. 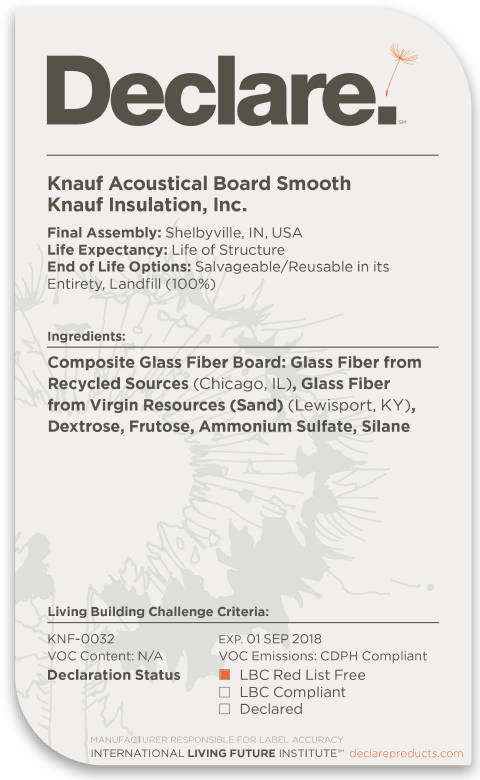 Knauf Insulation board products are the only formaldehyde-free glass mineral fiber boards available in the marketplace today.